Time for some STAMPlorations Inspiration for you. I've been playing wish Brusho powders and my ARTplorations Happy Flowers stencil. I laid the stencil on the card, sprinkled on the Brushos, spritzed on the water, and watched the magic happen. Tiny specks of powder escaped under the stencil, which gave me the colour for the wash around the image. The sentiment is from Gone Postal. 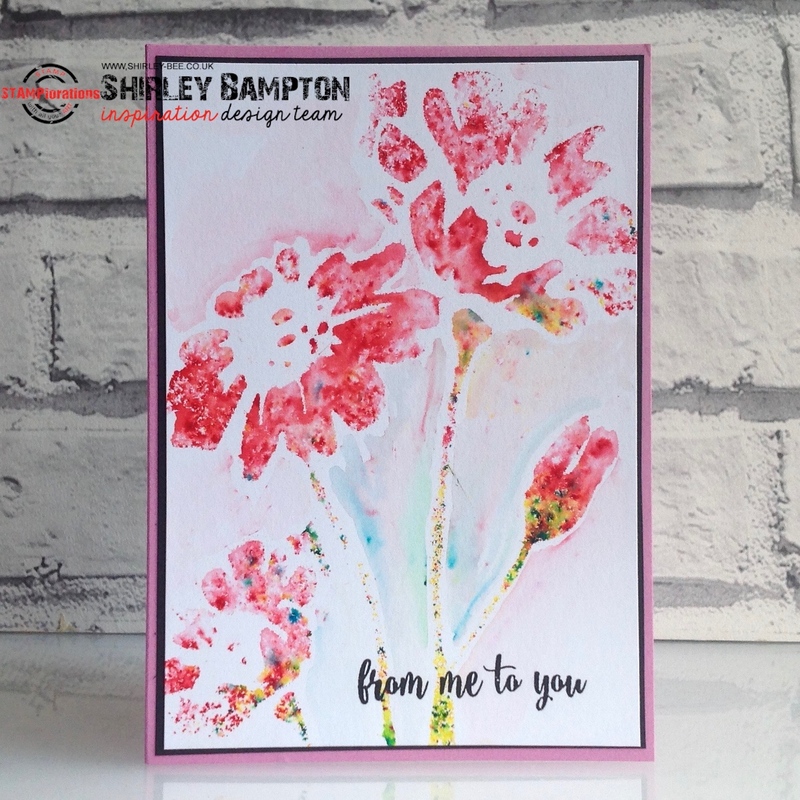 Pop on over to the STAMPlorations blog for some more fabulous inspiration from the Design Team, and leave a comment for a chance to win a $10 gift certificate. That is totally awesome. I was doing the same thing with the same stencil. But your card is way more amazing :).